Not everyone wants to eat on-property every day. Where is your favorite place to eat off-property and why? 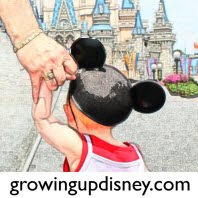 DisneyDad: There are many good places to eat at WDW but every now and then we want to go “off property” to eat. Aside from our many trips to Walt Disney World, our daughter lived in Kissimmee for 2 years so we are very familiar with the area around WDW. There are two local restaurants we like to go eat. Both are chains but neither has restaurants where we live so they are different than what we have at home. If you want a hamburger Steak and Shake is an excellent choice. Their steakburger meat (they don’t call them “ham”burgers) is cooked fresh when ordered and with their wide choice of toppings, you can be sure they have whatever you desire. I love their shoe-string French fries, plus they have excellent shakes! If you like Mexican, Chevys Fresh Mex is a great place to go. My wife is a great fan of Mexican food so we usually plan one meal out at Chevys on every trip. So far I haven’t found anything on their menu I don’t like. My wife’s current favorite is the Fish Tacos. And of course like all good Mexican restaurants they have quite a selection of Margaritas and a full bar if you like something else. Both are located on 535 at the end of Hotel Plaza Boulevard. Chevys is located in the CrossRoads Shopping Center. Go straight across 535 from Hotel Plaza Blvd and you are in the CrossRoads Shopping Center. Chevys will be to your left next to the McDonalds. To get to Steak and Shake, turn left from Hotel Plaza Blvd onto 535. Go about 2 blocks Steak and Shake is in the shopping center on the right in the corner of 535 and Palm Parkway. Ridge: I don't get off property often but one of the places that i enjoy is Chevy's. It is a Tex-Mex restaurant, just off the property line at the Crossroads. It is where 535 and Hotel Plaza Blvd meet. They do everything pretty much everything well. I personally enjoy the make your own combo plates. Another place I have been and would like to try again is Medieval Times!!! (he said in a resounding voice). We went years ago, I would love to try it again and see if I still find it as entertaining today as I did when I was younger. If I can cheat a bit and give a nod to the Earl of Sandwich at Downtown Disney. The sandwiches are all made right when you order. My favorite is the "Original 1762" Freshly Roasted Beef, Cheddar Cheese & Creamy Horseradish Sauce. Special tip, they have a AAA discount. Amy: I lived in Kissimmee for over two years in the late nineties and the area has changed so much since then. We haven't gone off property for dining too much in the last few years, but there are a some good choices in the area. There are several Sweet Tomatoes locations in the general Orlando tourist area. This is mainly a salad bar restaurant but they also have fresh baked goods, soups, pastas, and pizza. If you go outlet shopping, consider lunch here. Toojay's Deli in the Dr. Phillips area (near Universal) has wonderful sandwiches and fantastic desserts. If there isn't a Chick Fil A in your part of the world, try one of these super tasty chicken sandwiches with their fresh lemonade. There are several locations in the tourist areas. The restaurants in downtown Celebration used to be really good. They've all changed since I worked in the area but it's still an interesting place to check out. I think it's a bit of a pain to get there since you have to deal with Universal parking, but they do make a good cheeseburger (in paradise) at Margaritaville. Where are your favorite places to eat off of Disney property? amy, I'm so glad you mentioned sweet tomatoes! I LOVE that place and I did not know that there was one in orlando (I've only eaten at the one in atlanta). a trip to the outlet malls may be in my future next trip! Love Sweet Tomatoes! I do have to say that I miss Jungle Jim's that used to be in that shopping area. Cracker Barrel is another favorite that we love (I think it's in Kissimmee). I see I am not the only one loving some Sweet Tomatoes! It's a nice change from some of the heavier vacation food. Heather, I liked Jungle Jim's too. I thought of them while I was writing. They made a really good burger. I feel sorry for people who don't have Chick-fil-A's in their area.